I didn’t think my obsession with Kate Spade could grow any stronger, but I was wrong. So very wrong. Kate you never cease to amaze me! Kate Spade & Company recently (like last week) started a new line called “On Purpose”, which is working to improve the lives of 150 women and their community in Masoro, Rwanda. My dear friend Kate (we’re only friends in a dream I once had, but that’s beside the point) is helping these women become a profitable supplier by integrating their work directly into the Kate Spade & Co. supply chain. By empowering these women, the end goal is to positively transform the entire community of over 20,000 people. Kate Spade & Co. CEO, Craig Levitt, clarifies that they are not trying to start a charity, but instead create opportunities: “It’s not a charity; it is creating jobs for talented women making beautiful products and offering them a way to participate in the global marketplace”. The employees are paid monthly salaries that are 40% above international guidelines for fair living wages. And like many other jobs, the women are offered: paid vacation days, health benefits, maternity leave, and social security. 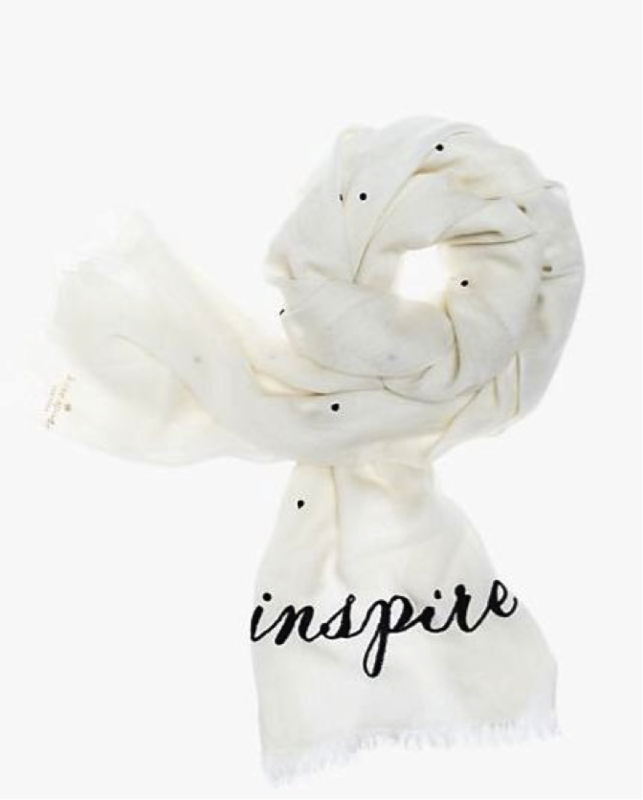 So far the products available include a few bracelets, scarves, totes, and clutches. All of them are perfect for spring! I’ve added two of my favorites below. You can check out the whole collection and watch a short video here. Just a little side note: if you look at that collection you will currently see that there is only a silver bracelet available, but there were about 6 different bracelets for sale a few days ago. What’s goin on here Kate?? I would keep checking back to see if the other colors are going to be available again because they were really purdy and great for stacking with other bracelets! Categories: Uncategorized | Tags: Clutch, Empowerment, fashion, Jewelry, Lifestyle, Rwanda, Scarf, Socially Conscious, Women | Permalink.